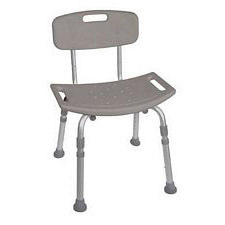 Bath & shower benches are functional bathroom safety furniture to make bathing safer and more comfortable for those with limited mobility due to recent surgery, age, illness or disabilities. What Is a Bath Bench / Shower Bench? 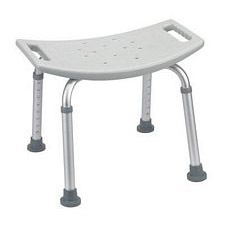 Most bath benches are made out of a combination of aluminium and sturdy plastic with rubber grippers on the bottom of the feet. These materials are both non-corrosive and lightweight, so they will not rust and can easily be transported while supporting enough weight for the individual. Often, bath and shower benches are constructed with a series of tiny holes or "gutters" on the seated surface to keep the water draining through. Nextra Health has bathroom safety equipment from Drive, Bridge Medical, Briggs, and more. Folding bath benches have the extra convenience of folding down into a convenient size for easy storage. 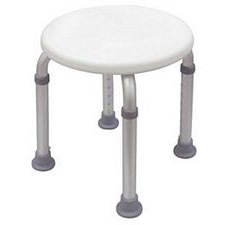 Folding models are typically smaller, simple stools and do not have the high weight capacity of some of the permanent, non-folding versions. 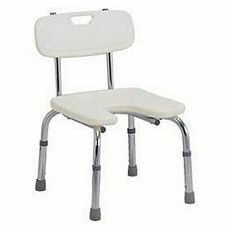 The non-folding versions, while not as convenient for storage, can offer many additional benefits to the folding benches, such as higher weight capacity, adjustable legs, backrests, arms. 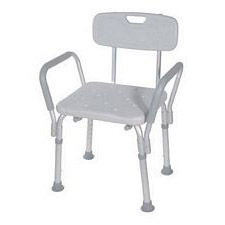 Bath benches are sold as either chairs (with a backrest) or stools (with no backrest). For those that tire quickly or need the additional back support, a backrest can be extremely useful. 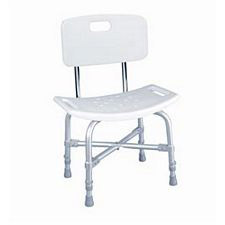 Keep in mind that with the backrest models are designed to only face in one direction, so while it increases the comfort, it may hinder mobility when getting in our out of the tub. 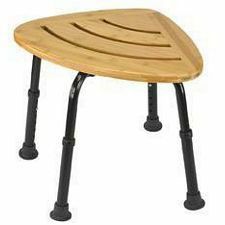 The smaller stool-like bath benches without a backrest are perfect for those who want something more economical and allow for easy maneuverability since the lack of a backrest means an individual can sit on the stool in direction or position. Note: For those who want the comfort of a backrest without sacrificing the mobility, consider a Transfer Bench and/or adding a Bathtub Bar. Weight Capacity - Most bath benches are designed to support between 200 - 350 lbs. It is recommended for any individual over 300 lbs. 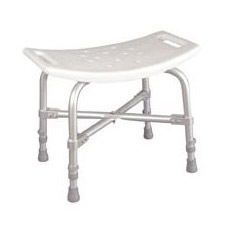 to consider a high-weight capacity bath bench constructed with extra support. Adjustable Legs - A unique feature on some of the nicer models of bath benches is the ability to raise/lower the height. Handles - Some bath benches (with or without a backrest) have built-in grips for movement and for comfort.